Have you ever thought about hydroponic vegetable gardening? 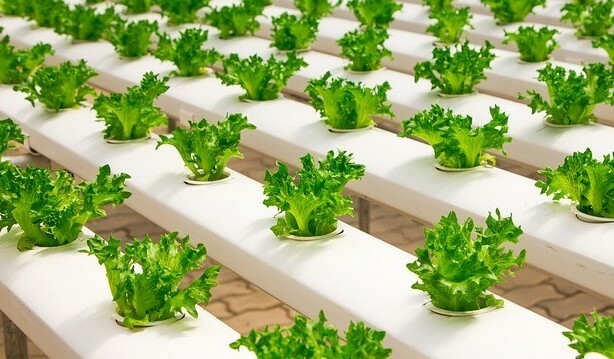 For those that do not know what is hydroponic gardening is, it is growing vegetables that are not in the normal dirt per se but in a clean controlled area with nutrient-rich water is fed directly onto the root of the plant. It’s like gardening from the future. Did you also know that vegan are also on the rise? More people are trying to get healthier and be more active. People are eating more vegetable more than meat. I am a meat eater but also love to have my greens along with it. If you are a vegan then it’s great for you to try this method out. You can grow anything anywhere all year round without having to rely on mother-nature, seasons. This is also great for people that have little space. People that have no backyard or ground meaning balconies, apartment buildings. Read my vegetable container gardening here at your leisure. I don’t have to tell you the pros of it. I’m sure you probably can guess the pros of using a hydroponic system. You can grow vegetables or herbs in it. Grow all your vegetables all year round in a controlled environment. Let’s talk about the cons of the hydroponic system. Check out this YouTube video for what kind of water to use. Now you’re thinking, what is the type of hydroponic system is good for me or my use? Well, I say check with your local nursery or if you have a store that specializes in the hydroponic, aeroponic, aquaponic and wick system. You can go from there. Having hydroponic a great way to watch your vegetable grow. It can be expensive. If you’re on a budget the least expensive one to try is the wick system. It has little power needed to begin with. This will be also a learning curve to experiment with. It is great for children and for beginners. This system is for small to medium plants that don’t fruit. But great for lettuces and herbs. However, you can do your own experiment and find out for yourself what you can grow in it. The point of having a hydroponic system is to have great healthy food you can grow without the nasty pesticides and chemical that is looming in your yard if you just recently move to a new house or don’t know what the backyard was storing. It is also about having fun with the whole family for learning, experimenting, and having fun together. I started with the aquaponic system. I really love how it worked. The aquaponic system is a little different because instead of using distilled water I use regular tap water for my goldfishes to swim in. It’s best to use catfishes because they give out the best nutrients for my vegetables. At the end of the day, I have a healthy nutritious vegetable on my table. If you don’t know already, growing your own vegetables and herbs has better flavor than buying them at the store plus way healthier without all the preservatives they use to keep them fresh. I have to confess I have never heard of this process and most fruit and veg I grow tends to be done in the ground in my garden or from a plant pot. 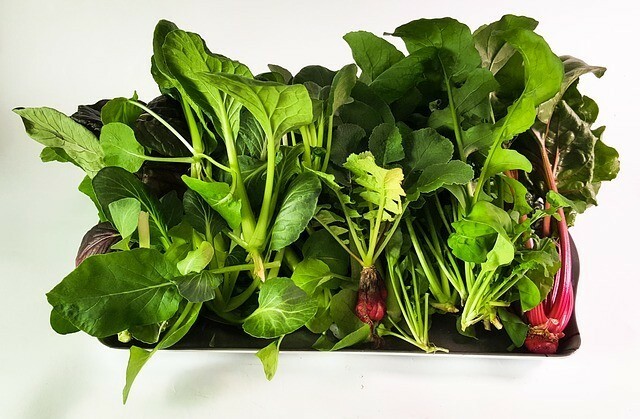 The idea of growing larger and cleaner vegetables is definitely appealing however do you notice a difference in taste in using this method and is there any additional health benefits. Hello there thanks for taking the time to visit me. Yes, there is definitely a difference in taste. As far as additional health benefits are to the plant itself. Instead of getting nutrients from the dirt, it gets it from the nutrients from the solution. I must say that this article is very helpful and informative as I enjoy in gardening and I have my own garden where I produce many types of vegetables. I did not heard about hydroponic gardening but just like you say, it is a job of a future. Although it is expensive I would like to invest in that. Thank you, Daniel, for visiting. Yes, definitely give it a try. I still grow some of my vegetables on the ground as well. But growing it in a hydroponic setting the plant roots have more wiggle room so they get bigger and juicier. Not everyone will experience the same results. Hi, thank you for promoting this technique of gardening. I liketo grow my veg on the ground since I have a sizable space for gardening. However, your article has made me consider this hydroponic technique. I am wondering whetherthe vegetable can thrive well in just tap water without feeding the plant with liquidfertilizer. What would you say? First thank you for visiting and welcome. I think it depends on where you live. Where I live the water is salty and hard that we mostly use reversed osmosis system for drinking (RO). Neutral water has a pH balance of 7 so anything below that is acidic and above that is alkaline the basic. Most common pH balance range is between 5.5 and 6.5 for hydroponic system. Plus it’s also depeding on what you’re growing some plants like it more acidic like carrots to cucumber and some likes alkaline soil like artichoke to broccoli. Hydroponics sounds great! I live in Florida USA on the gulf coast. Then ground is like limestone and sugar sand. not great for gardening. So I have been thinking about this. So you now have inspired me to go looking for equipment. It gets really hot here too I don’t have enough room indoors but have some space outside any suggestions for the heat in summer? Hey, Captain thanks for dropping by. You know what Florida is great for planting vegetables actually. You have humid summer weather and we have dry summer. I have friends that grow many vegetables and herbs out there. thanks so much for the link I will be off to take a look. it all sounds like a great idea$!